SPRINGFIELD - The Illinois Environmental Council (IEC) released its 2018 Environmental Scorecard this week. 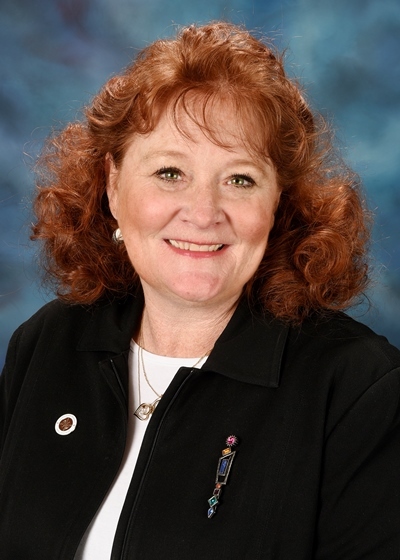 State Senator Laura Murphy (D-Des Plains) has been honored with a perfect voting record. A total of 21 state senators received an award for their voting record during the 2018 legislative session. 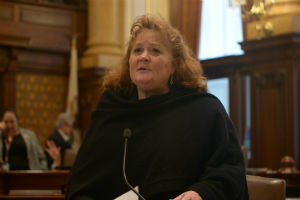 “Senator Laura Murphy demonstrated a commitment to environmental issues in Springfield this session,” said IEC Executive Director Jen Walling. 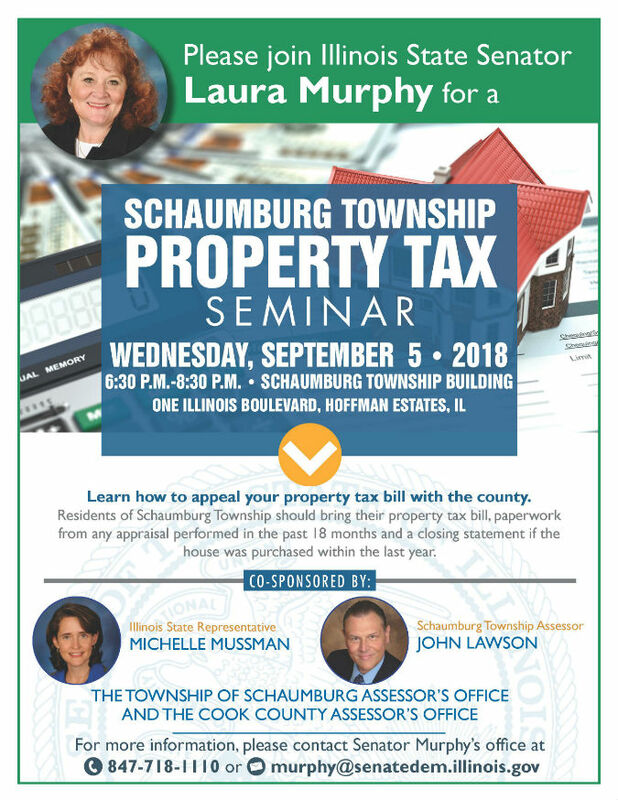 DES PLAINES —Mid-sized convention centers will continue to benefit from a state grant which helps them compete with other states under a new law sponsored by State Senator Laura Murphy (D-Des Plaines). “This legislation is designed to spur tourism, economic activity and competition with convention centers in other states,” Murphy said. “Hosting conventions helps local hotels, restaurants and retail merchants. I am pleased that Illinois will benefit from another four years of this grant and hope to see increased economic growth around our convention centers. House Bill 4990 extends the Municipal Convention Center and Sports Facility Attraction Grant until 2022. Through this program, mid-size convention centers can receive up to $200,000 in reimbursements for incentivizing business. This legislation applies to convention centers in: Schaumburg, Lombard, Tinley Park, Peoria, Springfield, Collinsville, Quincy, the Quad Cities and Rockford. The grant is funded through the Tourism Promotion Fund, housed within the Department of Commerce and Economic Opportunity. This law takes effect immediately. 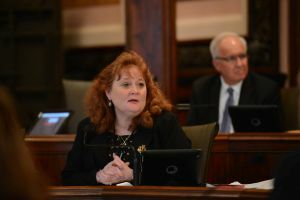 At the urging of State Senator Laura Murphy (D-Des Plaines), the Senate Transportation Committee convened a subject matter hearing on Tuesday morning in Chicago to discuss potential irregularities in Tollway procurement. 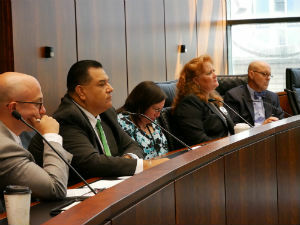 Illinois Deputy Chief Procurement Officer Jan Morrow, Tollway Director Liz Gorman and Tollway Chief of Procurement John Donato testified on procurement policies for engineering contracts and how proposals are reviewed. The hearing was called following the award of a $6.6 million subcontract to Morreale Communications which was tacked onto an engineering contract. The CEO of Morreale is married to Republican State Representative Michael McAuliffe. Though the Tollway contended that Morreale Communications disclosed the potential conflict of interest, State Senator Dave Koehler (D-Peoria) remarked that it is important to avoid the impression of a conflict of interest, which can be just as undermining. During the hearing, State Senator Cristina Castro (D-Elgin) questioned some work Morreale was performing, such as writing speeches for the chairman of the Tollway, when the Tollway employs an 11-member communications staff. Donato testified that he believes Tollway communications staff’s budget is $1.6 million annually. The Tollway was also under fire for a $157 million contract with Omega and Associates, a company which employs the children of Tollway executives. The firm has also contributed to board members’ charities.